The Solihull Medical Cosmetic Clinic uses a range of different laser and light energy devices to help to improve the appearance of hyperpigmentation due to sun damage or due to hormonal changes especially in females affecting the face. Hyperpigmentation due to sun damage can lead to increased areas of pigmentation on the face, neck, chest or hands (i.e., sun exposed areas). Depending on the skin colour of the skin, the pigmentation marks called lentigos or sun spots or age spots may be able to be successfully removed from the surface of the skin, with minimal downtime, to leave a cleaner even toned skin. 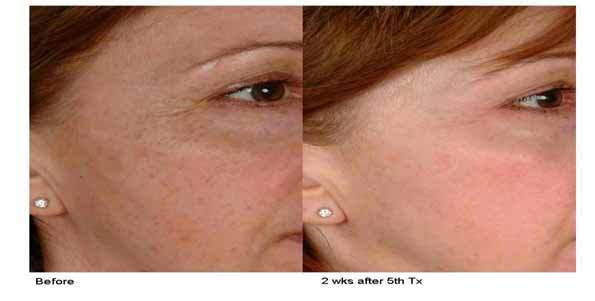 IPL or intense pulsed light uses light of a certain wavelength of energy directed at the pigmented areas, so that the melanin or the dark pigment absorbs the energy. This may cause the lesion to become darker immediately, and then over the next few days the pigmentation may become dry and lifts off the surface. Solihull Medical Cosmetic Clinic, under the supervision of Dr Sagoo is proud to be one of the first Clinics in the UK to offer Pearl Laser Treatment, a minimally invasive treatment that aims to remove the top layers of the skin’s surface, and may renew the skin with quick, visible results. The Pearl Laser can be effective at improving wrinkles around the eyes, mouth, texture of skin, age spots, sun damaged skin and acne scarring, often with only one to two treatments. Patients who get treated with the Pearl Laser benefit from significantly less down time than traditional skin resurfacing laser treatments, such as Erbium and Co2. These older laser treatments require up to four weeks for the wounds on the skin surface to heal and require the patient to remain out of the sun for at least 3 months! Dr Sagoo is the first doctor in the UK to carry out this exclusive treatment on T.V. (Dr Sagoo in the media). How does Pearl Laser Treatment work? During the procedure the top layer of skin is treated with pulses of light in a selected pattern. 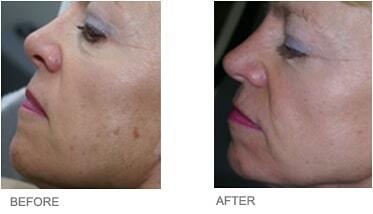 The laser aims to replace the entire top sun damaged layer of skin with new healthy skin. At the same time, it sends heat to deeper layers of the skin, which may stimulate new collagen growth, filling out and decreasing lines and wrinkles. During the procedure, a natural protective dressing is formed on the skins surface which after three to four days will usually peel off, which may reveal healthy vibrant skin underneath. How does Pearl Laser Treatment differ from Fraxel? 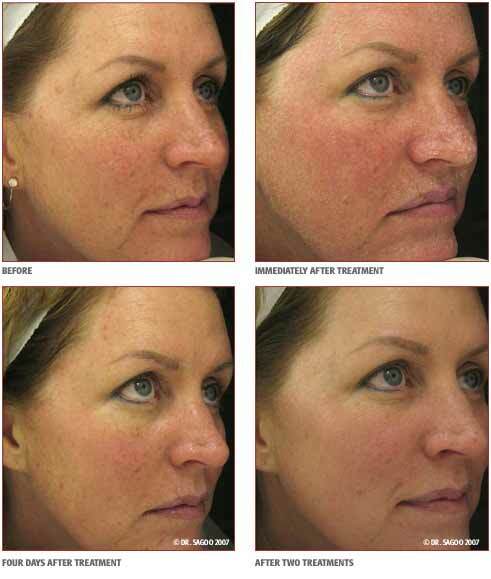 Fractionated “Fraxel Laser” treatment is used on only small portions of the face during each treatment, and therefore, up to six treatments are required and are painful. Pearl laser treats the entire face in one to two treatments and incurs only three to four days downtime. Can anyone have it done? Patients of any age with sun damage, uneven skin texture, fine lines and wrinkles may benefit, but Dr Sagoo, the leading U.K. specialist, will assess each patient. We can combine 2 different laser treatments dependent upon the depth of pigmentation, which may give an overall improvement of skin texture as well as improving hyper pigmentation. Dr. Sagoo has developed an exclusive laser programme that may achieve optimal results in sun damaged skin pigmentation, which involves treatments aimed at collagen stimulation and repairing signs of sun damage. For more information and to book for a free consultation with Dr. Sagoo please call us on 0845 603 6150.